Foundational Reading tests fundamental reading skills using cognitive skill manipulatives that pinpoint where a student needs to grow. 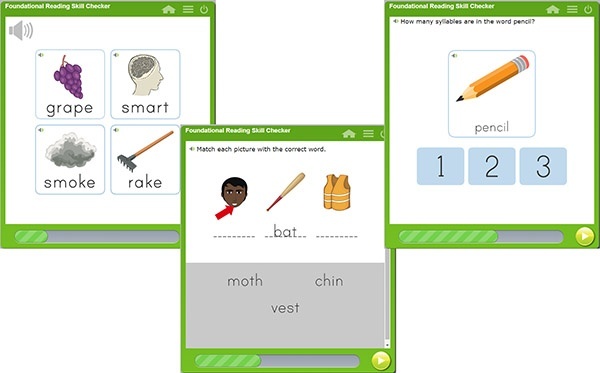 The modules test key skills such as phonological and phonemic awareness, decoding, segmenting, blending, syllabication, and more. 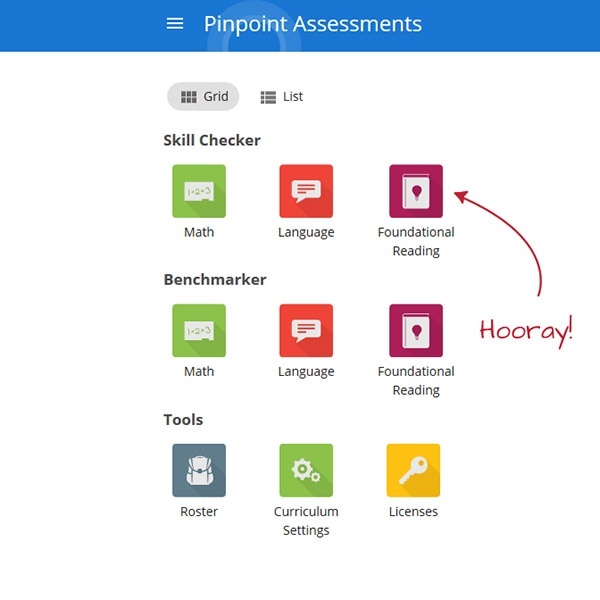 These new assessments also give you access to sophisticated reports aligned with Common Core Standards. 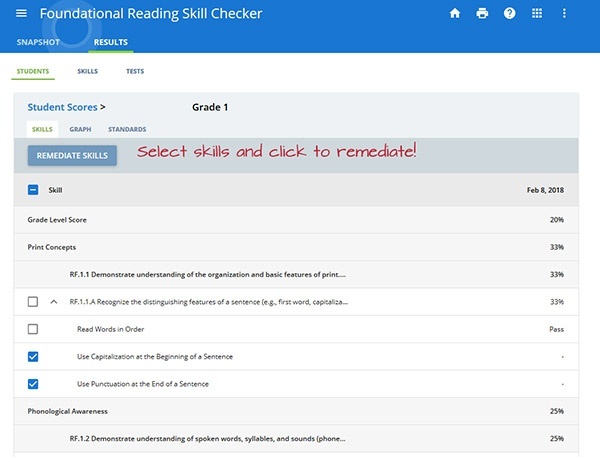 You can use these reports to immediately assign lessons where students need remediation.